Ihre Suche nach - Fachgebiet: Plastische Brustchirurgie ergab 27 Treffer. 1. 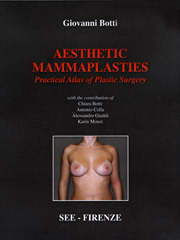 Auflage, 2008, SEE Editrice - Firenze, 629 pp. 2014, Springer Berlin, ca. 1.045 pp., ca. 1.008 ills. -936 in col.
2015, Springer Italia, 486 pp., 1.871 col. ills. 1st Edition. Softcover version of original hardcover edition 2006, 2010, Springer-Verlag Berlin Heidelberg, 134 S., 132 ills. 2015, Thieme /KNO VA, 204 pp., 244 ills. 3rd edition, 2010, CRC Press | Thieme, 1800 pp. The best just got better - much better! 1st Edition. Softcover version of original hardcover edition 2009, 2010, Springer-Verlag Berlin Heidelberg, 672 S.
2016, Springer International Publishing, 1.590 pp., 912 ills. -829 in col.
2017, Springer, ca. 727 pp., 702 ills. -686 in col.
2016, Springer, ca. 956pp., ca. 427 col. ills.